As one of the older cities in the US, Boston has a much more traditionally British and classical feel to it, with fewer steel and glass buildings dominating its downtown and port than other newer American cities. 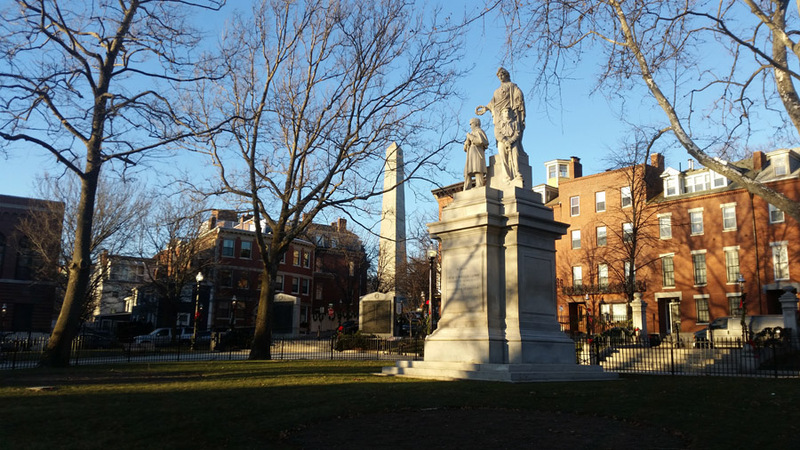 As the largest city in New England, its ties back to the old one are traced back to the Puritan settlers in the 1600s. Much of Boston’s old town could come straight out of an English one, and feels a lot more pleasant and familiar to walk around than other modern US cities. However, with snow and cold weather lasting well into March and some midwinter days seeing temperatures as low as negative 20 degrees Celsius, speeding time in the fresh air isn’t always an option – in fact when there in December we were advised by the tourist board to avoid going outside at all. However, given my time enduring the Canadian winter, this warning didn’t stop us undertaking and explore of the city. The fascinating Freedom Trail of 2.5 miles of red bricks in the pavement link up some important places for American history, including some key sites of the American Revolution and struggle for independence from Great Britain. These include the Boston Tea Party, Bunker Hill Memorial and USS Constitution, all of which tell their own small part of the tale of the creation of the United States. As a Briton in some ways it feels strange to be walking the Trail knowing that much of what you’re seeing was a direct result of the disillusionment and anger the British faced in their colonial rule. However, this didn’t diminish its historical interest and it is both an active and compelling way to spend a day in Boston. A special mention is necessary here for Taza hot chocolate in the Boston Public Market, whose rich and interesting flavours was very welcome on our cold winter walk. This, and the Quincy Market are also very busy places to explore whilst out, particularly if you’re hungry! Alternative eating spots include one of Boston’s many fish restaurants, where the city’s proximity to the Atlantic Ocean serves it well – the seafood in Boston is incredible, particularly the clam chowder and lobsters. Massachusetts is also a hotbed for education and Boston has been dubbed the ‘intellectual capital’ of the USA. 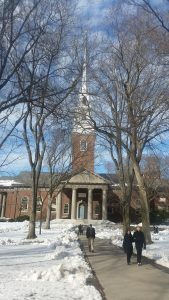 The most famous and notable examples are in neighbouring Cambridge: the prestigious universities of the Massachusetts Institute of Technology and Harvard, consistently ranked as two of the best in the world. The latter can claim to be the oldest higher education institution in the USA and its alumni list includes numerous US presidents, Nobel laureates and billionaires, who all add to its legacy. This prestige and donations have meant that the campus boasts elegant and grandiose libraries, statues and other buildings in amongst the tree lined paths and even if your chances of attending classes there are low, this is a place you should definitely see to appreciate its influence. Because of the student population, Cambridge also hosts a wide range of bars and cafes catering to them, as well as events on a nightly basis. One of these whilst I was there was the ‘Donkey Show’ – a Harvard student drama group’s adaptation of Shakespeare’s ‘A Midsummer Night’s Dream’ in a 70s disco club setting – this one needs to be seen to be believed! If you ever did need an excuse to go to Boston, St Patrick’s Day is definitely the biggest one. Famed for and taking great pride in its Irish heritage, Boston over this weekend is certainly the place to be. Whilst other cities like New York and Chicago offer alternatives, Boston’s celebrations have a certain camaraderie and familial nature that feels more like a small town than a major city. A diverse mixture of visitors and locals mingle in the multitude of bars, all brought together by the party atmosphere, and for several days the greys and whites of the buildings and streets are transformed by thousands of partygoers in whatever Irish clothing they can find (and failing that anything green). Even the pints of Budweiser at the Bell in Hand Tavern (where we spent a large portion of the Saturday) were dyed green – a little off-putting but the taste was unaffected. 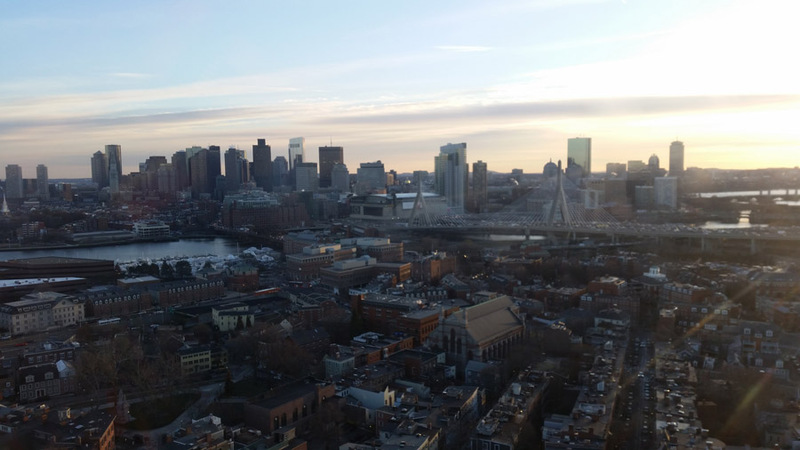 As a financial, technological and intellectual hub, there has been a large degree of gentrification in Boston, and with this the cost of living has become one of the highest in the US. Adding to this the heightened holiday prices, drinks are eye wateringly expensive during St Patrick’s. However, as a potential once-in-a-lifetime event, it’s worth forking out to fully get into the spirit. In amongst the chart and classic rock songs you’ll hear many traditional Irish songs and local celtic-punk heroes Dropkick Murphys’ simple yet memorable accordion-driven ‘Shipping Up to Boston’ is unavoidable. If you plan far enough ahead you may be able to sing along live at one of their annual St. Patrick’s Day hometown shows, tickets for which sell out months before. Even if their raucous and unashamedly blue-collar punk tendencies aren’t your sort of thing, from every Bostonian I spoke to I heard it was the place to be if you wanted to have fun. For the whole weekend the party doesn’t stop, and you’ll see many people in bars from the morning until the early hours of the next one. As an experience, Boston over St Patrick’s definitely is one for the bucket list. Given some budget airlines have begun opening routes from London Gatwick and other UK airports to Boston Logan, the city is now more accessible than ever. My one regret was not being able to see this city in the summertime, as Boston is also well known for its frequent food and music festivals. 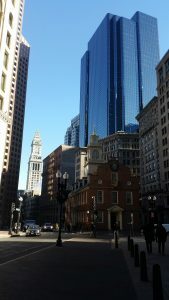 For a variety of historical, cultural, gastronomical and many other reasons, Boston is well worth a visit, and I’m sure I’ll go back again at some point. Article by University of Birmingham student Thomas Crawford for Blog About Holidays.